Would you listen to Consuming the Word again? Why? I will listen to "Consuming the Word" again. 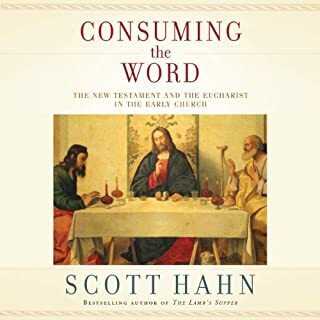 As a student of the author, I find this book to be a concise explication of the relationship between the Word and the Eucharist. Mr. Runnette's rendering of the text is gentle and reverent. I found his tone to be relaxing and, in some sense, he seems to withdraw himself and let the text speak for itself - an art in and of itself. Mr. Runnette's voice, cadence and inflection are ideal for spiritual and theological books. I hope to encounter him again through the recorded word. It is one of the few books which upon finishing made me want to go back to the beginning and start over again.